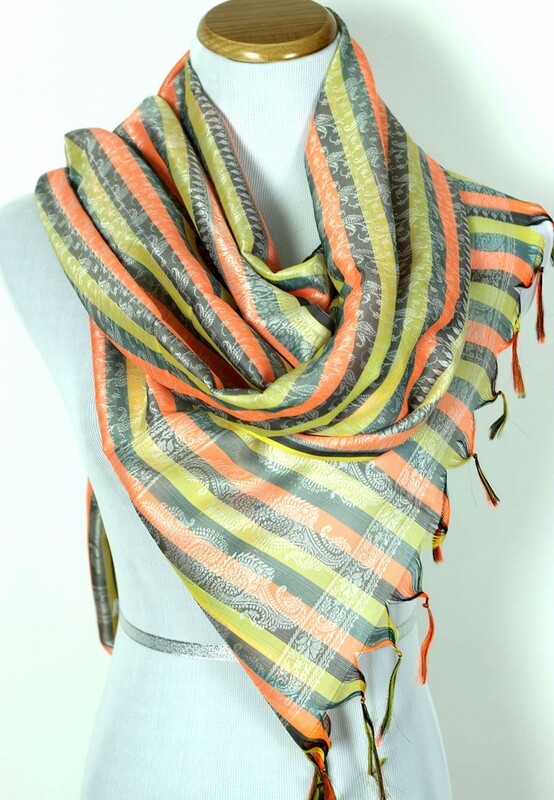 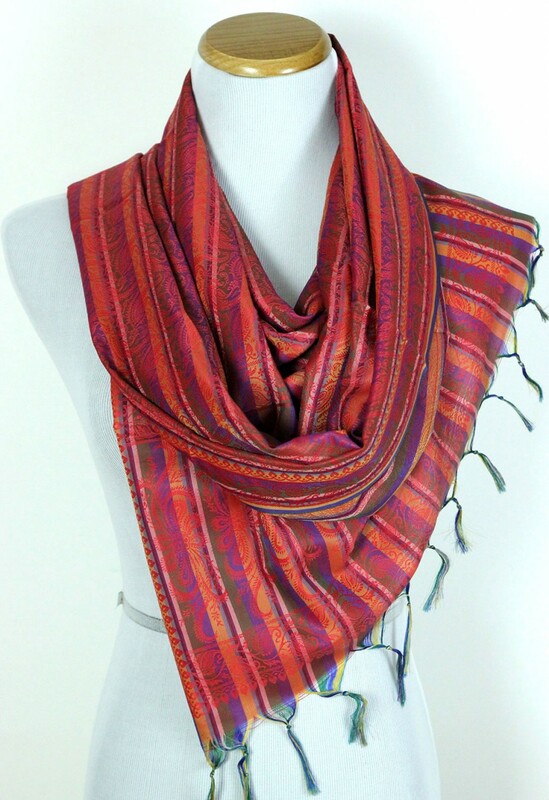 Our multicolored striped print scarf features exquisite tassels in bright color mix combinations. 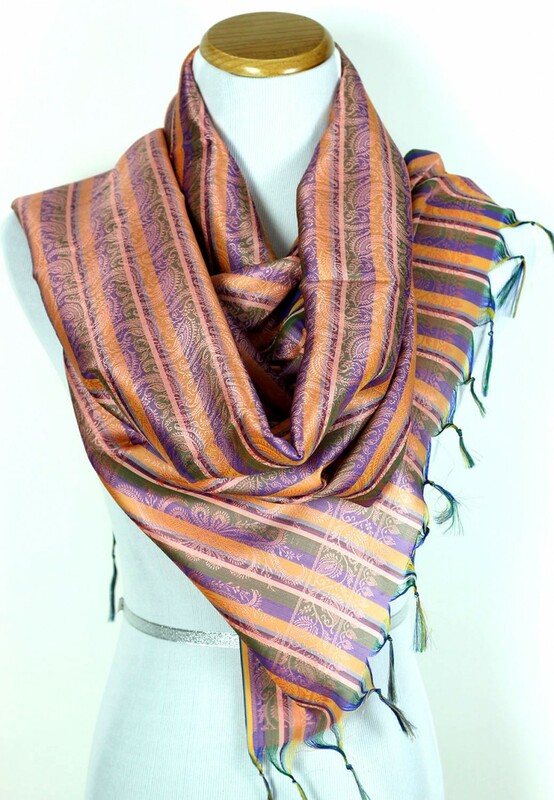 Material: Crafted in India with 100% soft polyester fabric. 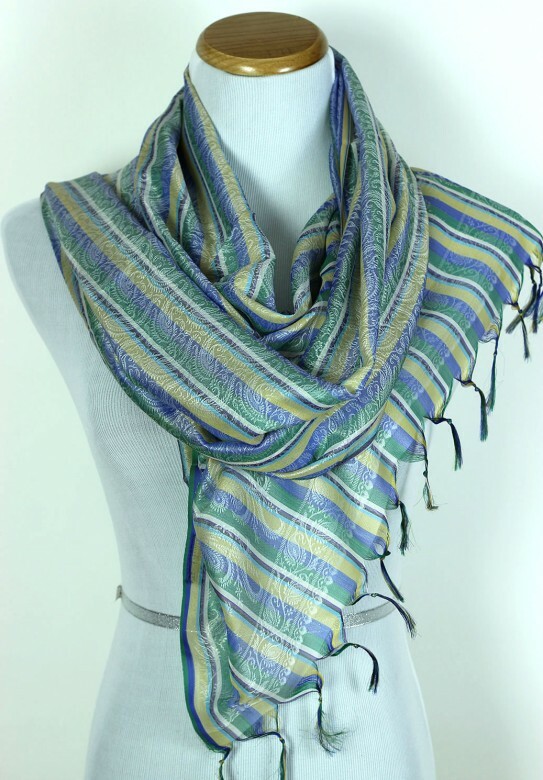 Our striped print scarf features a delicate and lightweight design. 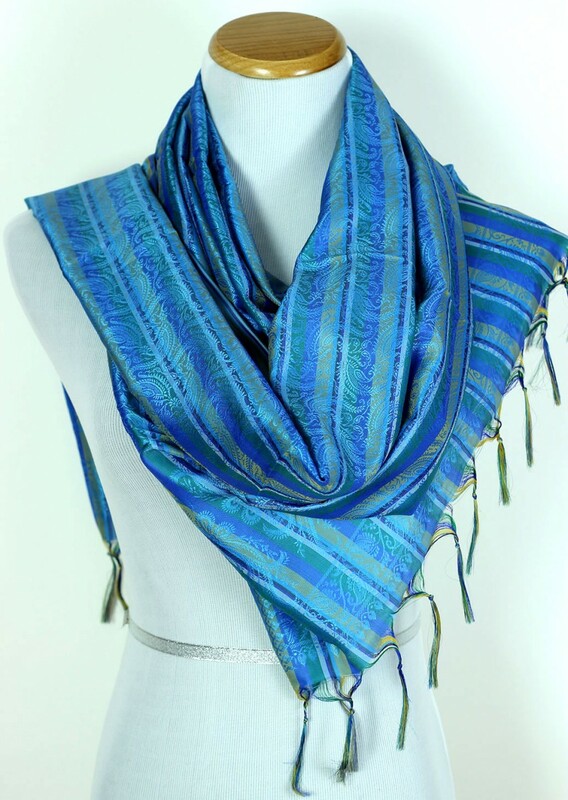 It incorporates a beautiful subtle floral pattern which adorns the entire design, along with exquisite tassels. 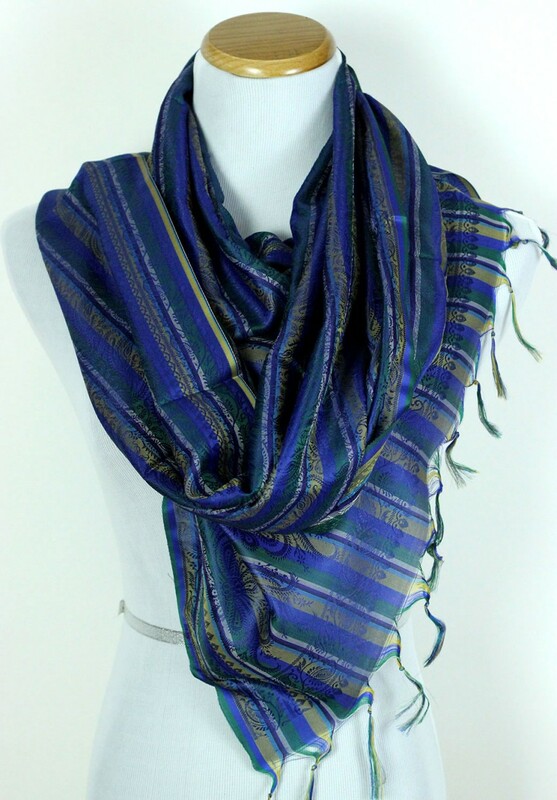 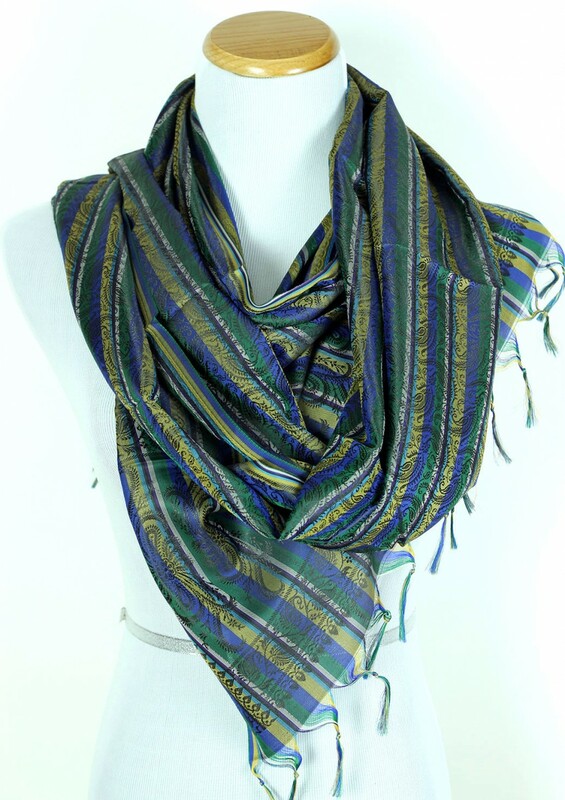 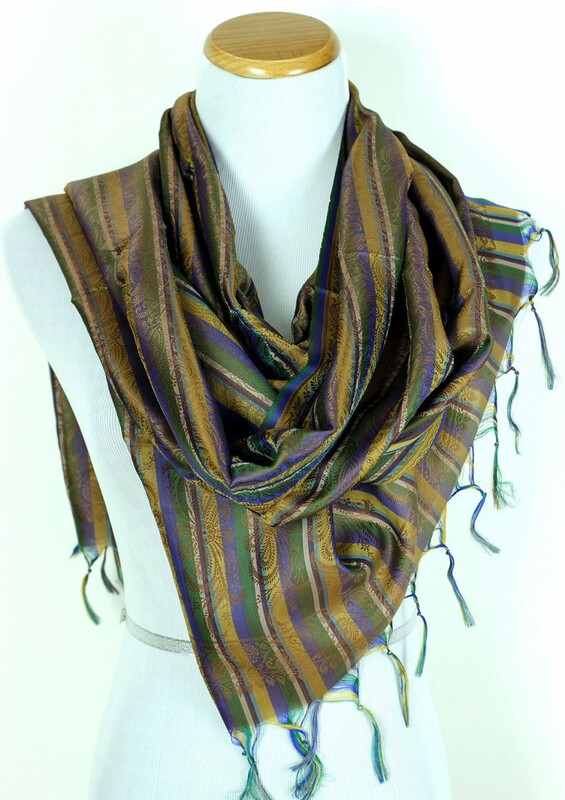 Wear this elegant striped print scarf for any occasion and bring a chic look to your favorite outfit.